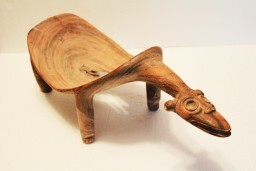 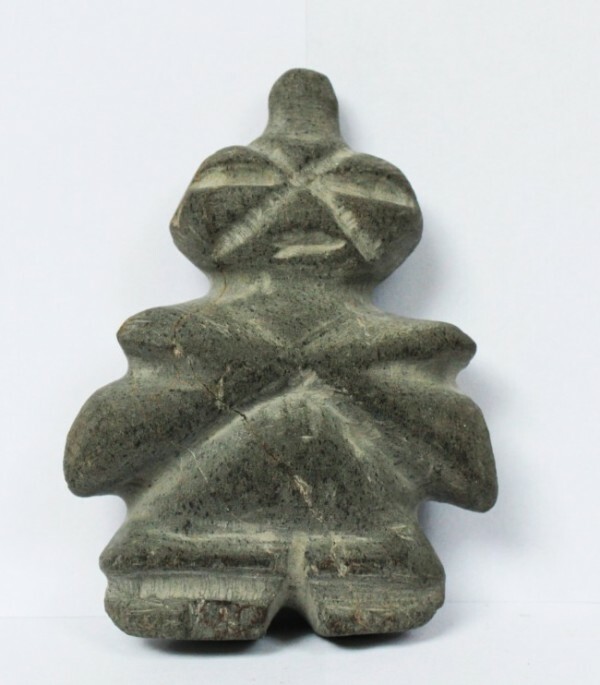 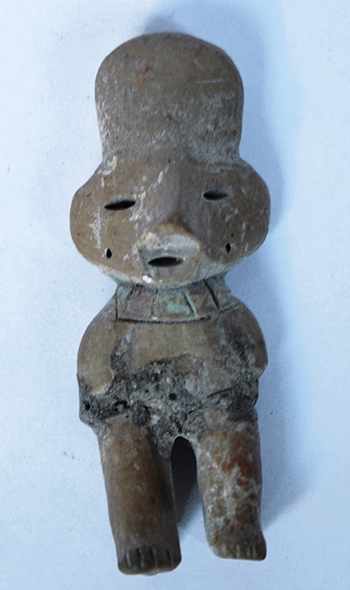 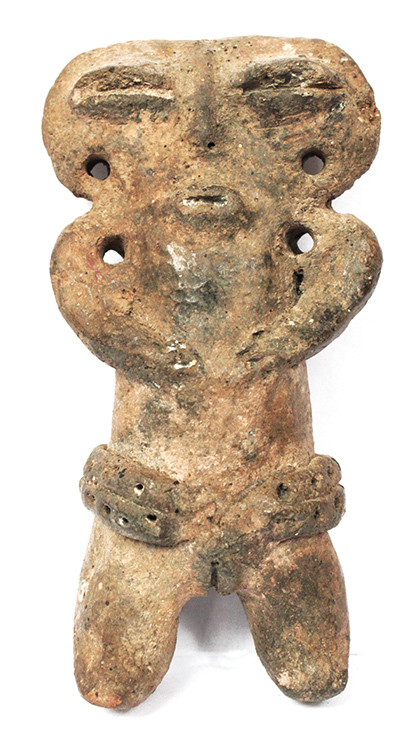 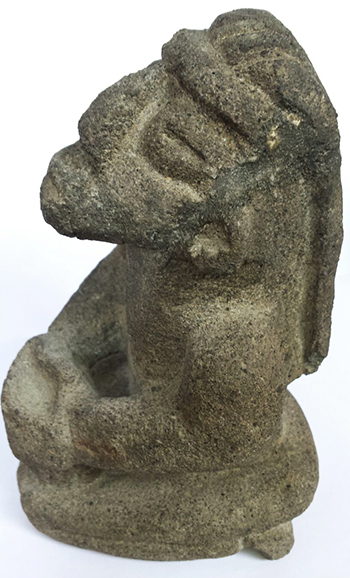 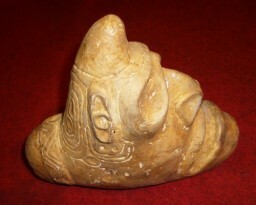 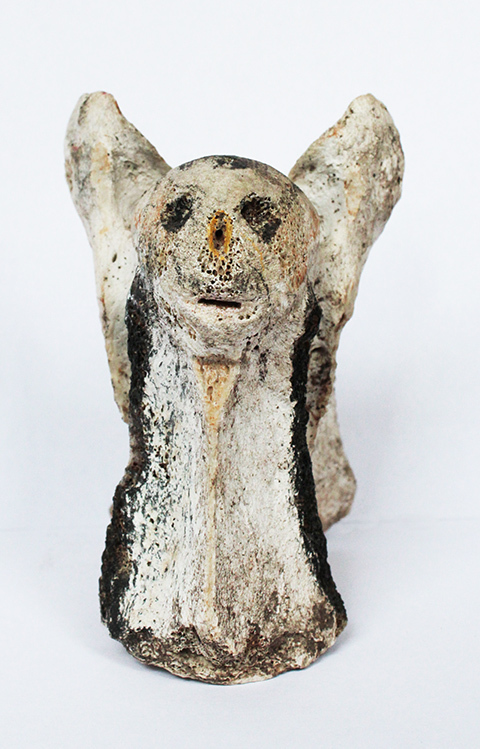 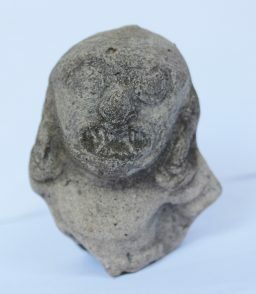 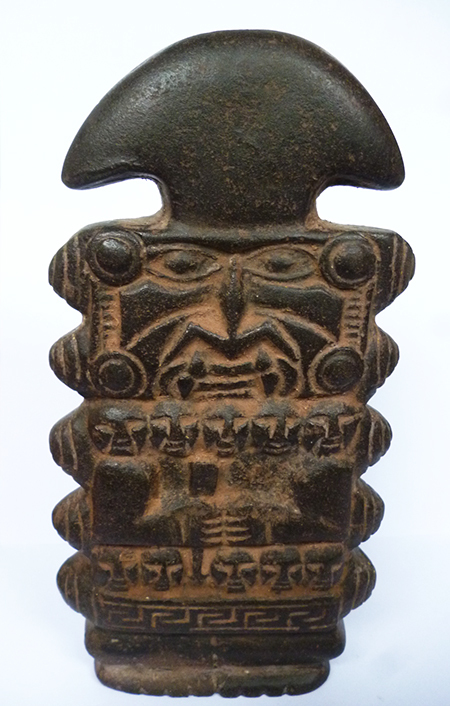 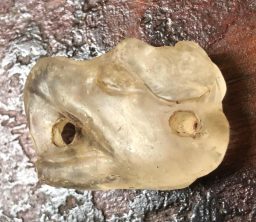 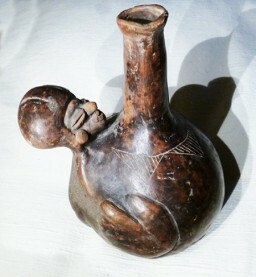 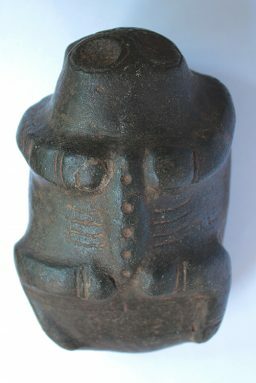 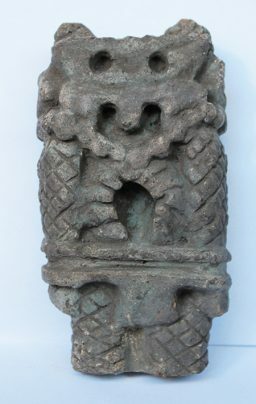 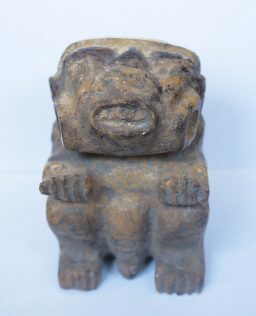 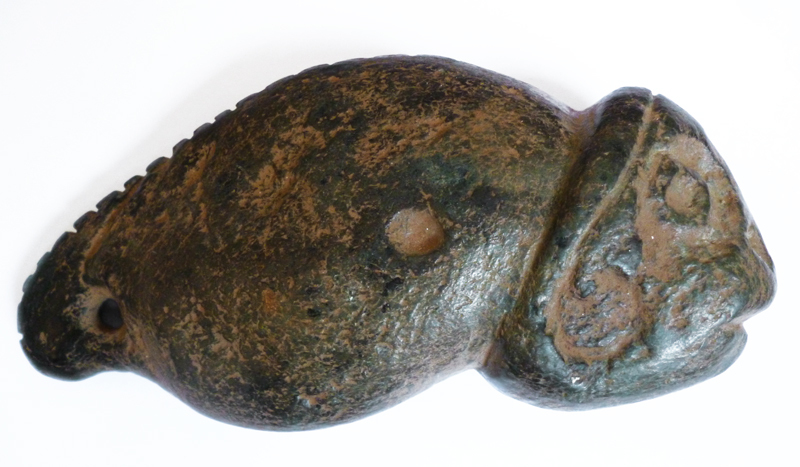 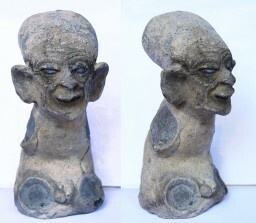 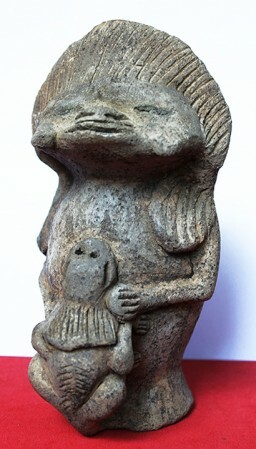 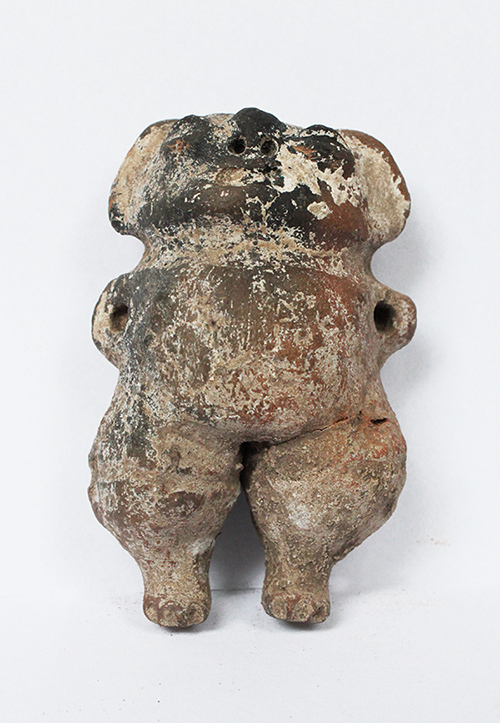 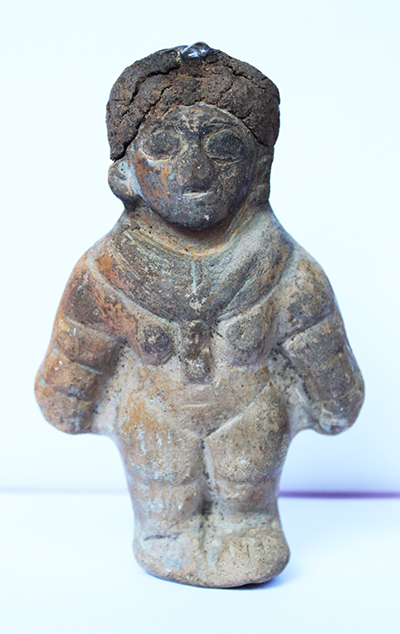 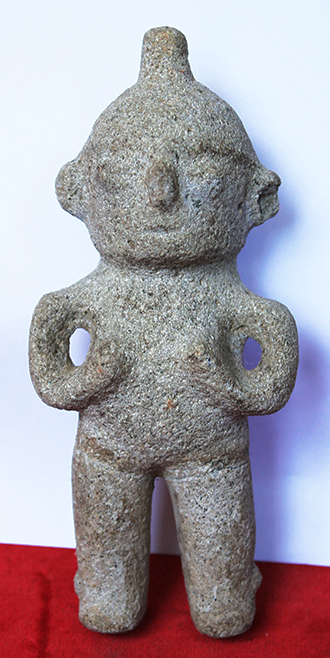 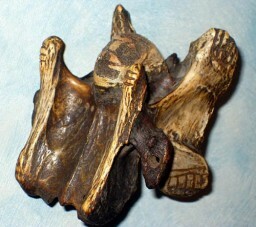 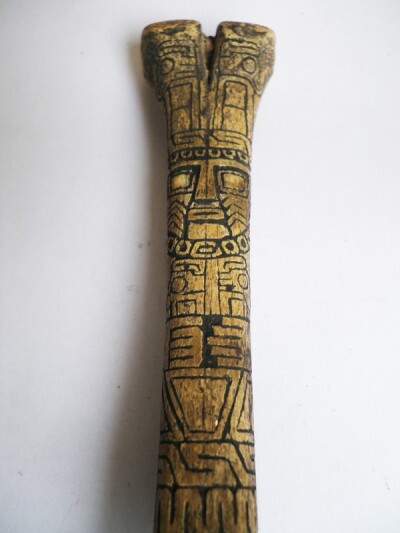 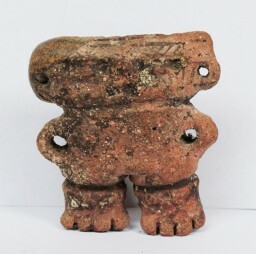 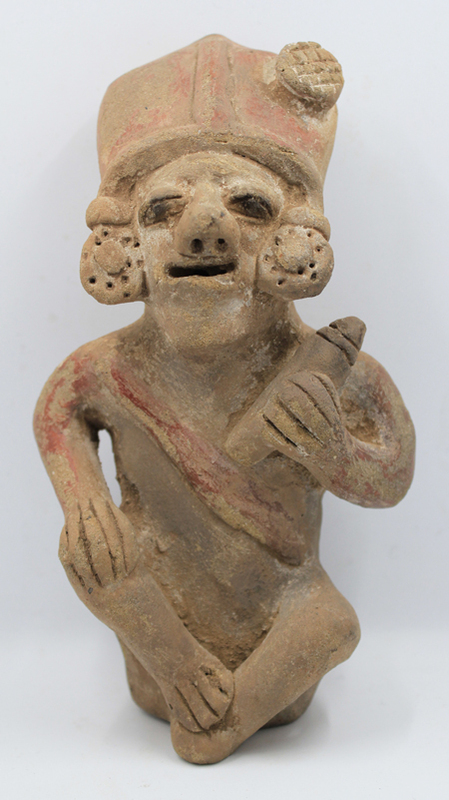 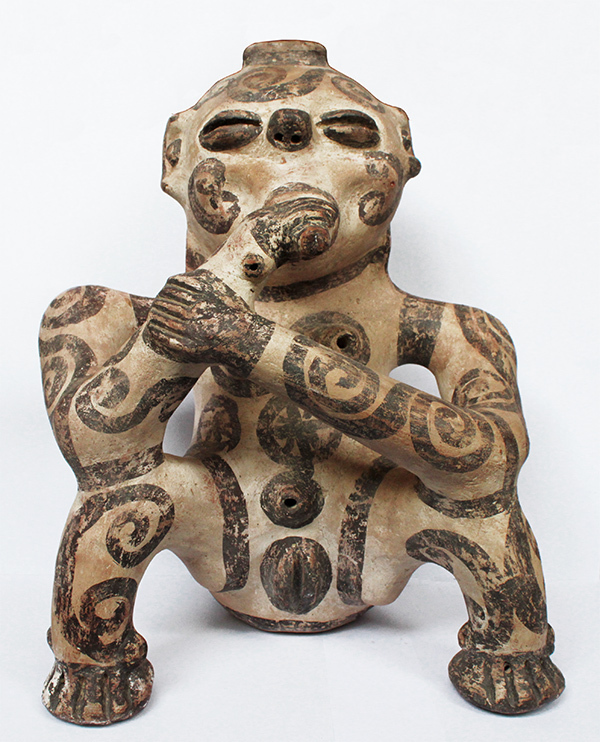 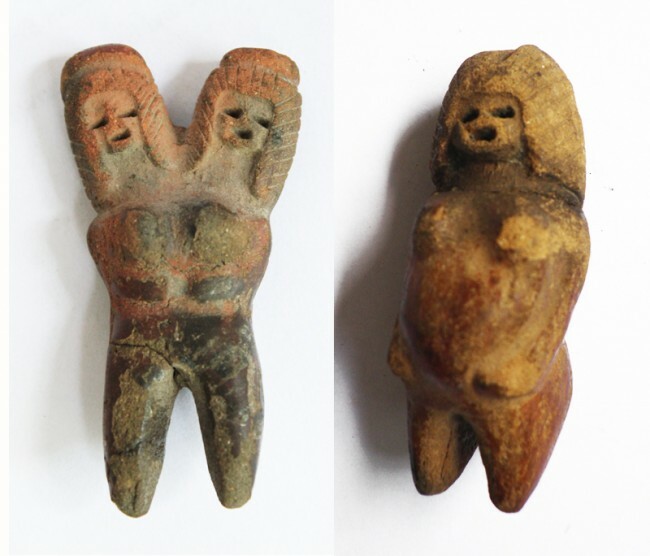 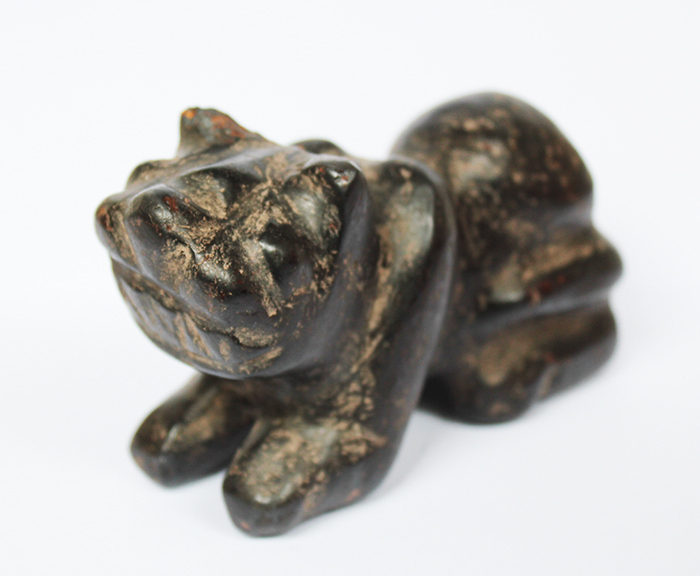 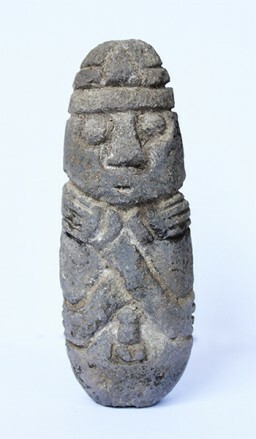 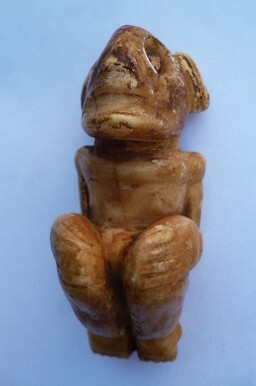 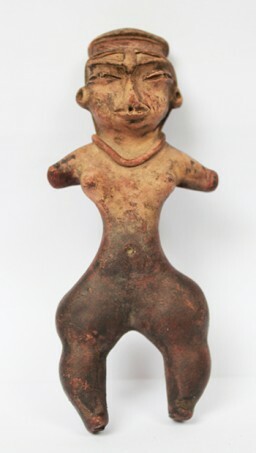 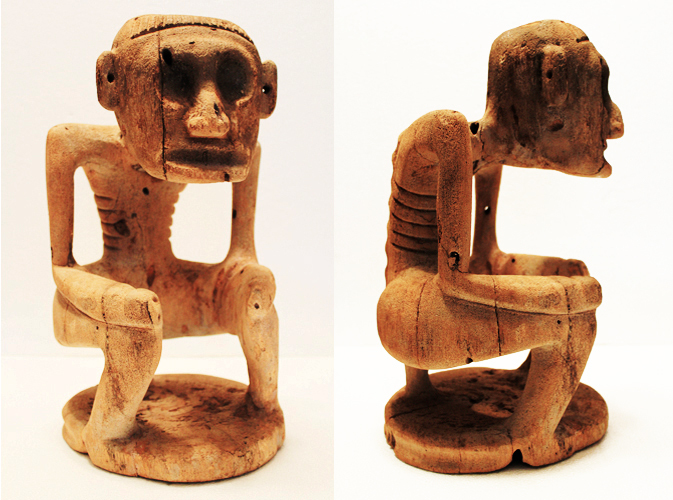 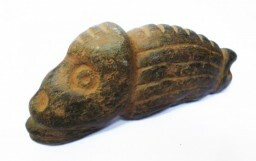 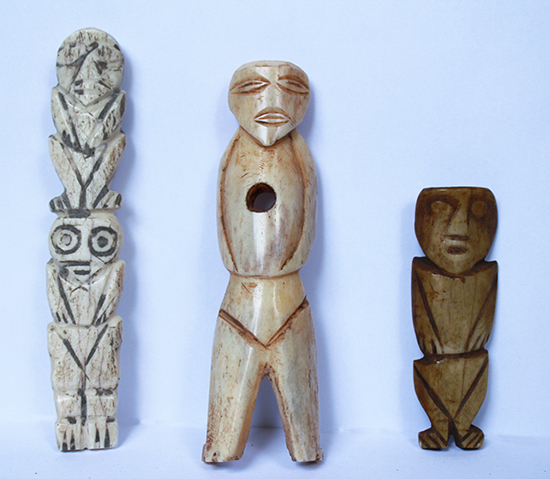 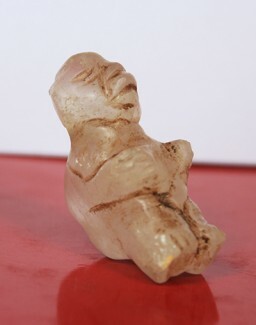 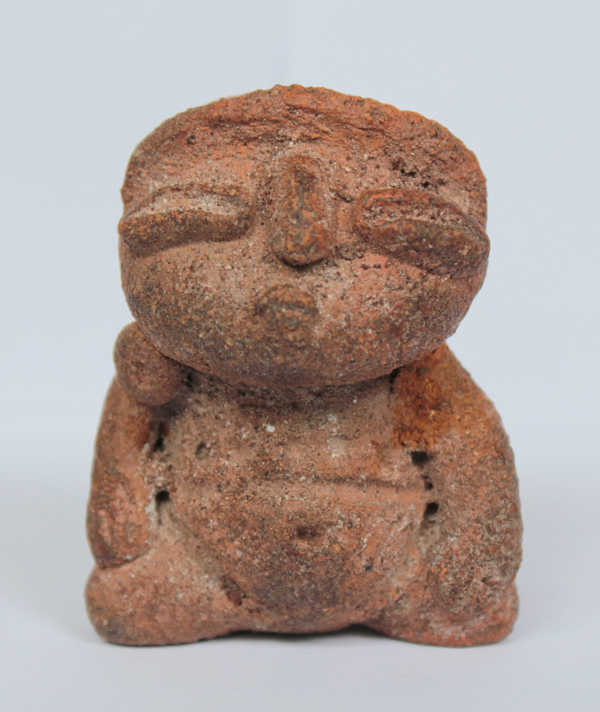 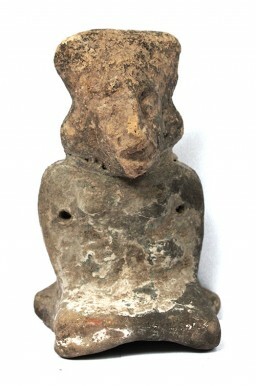 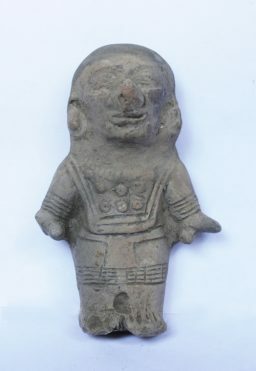 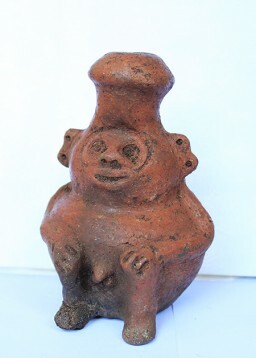 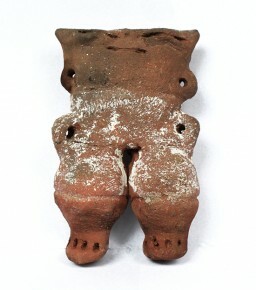 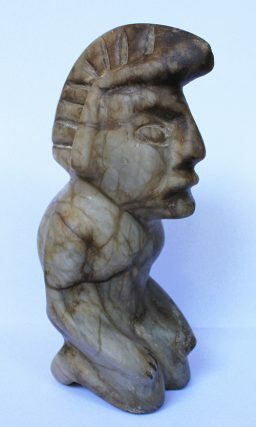 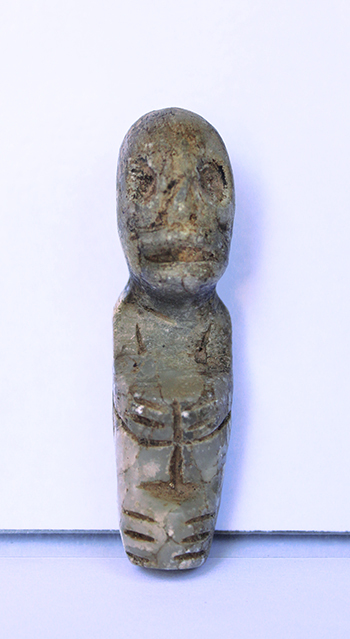 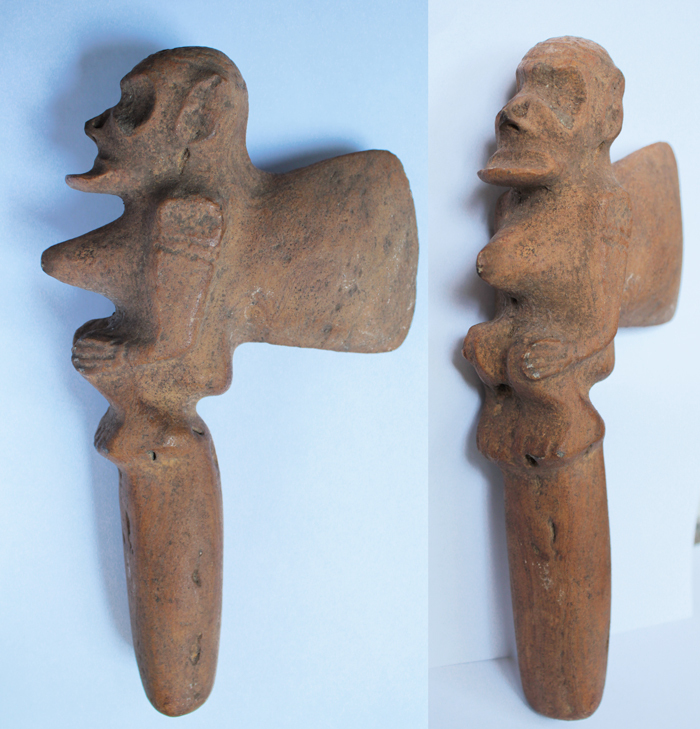 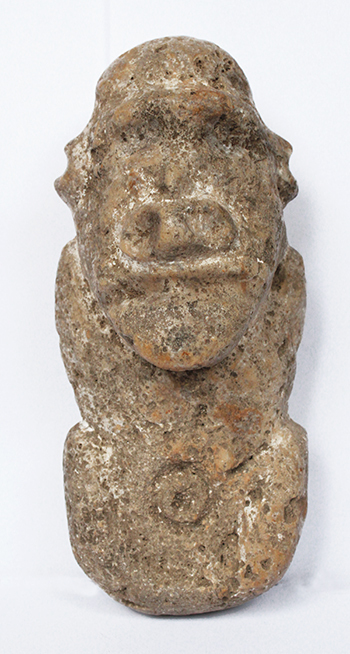 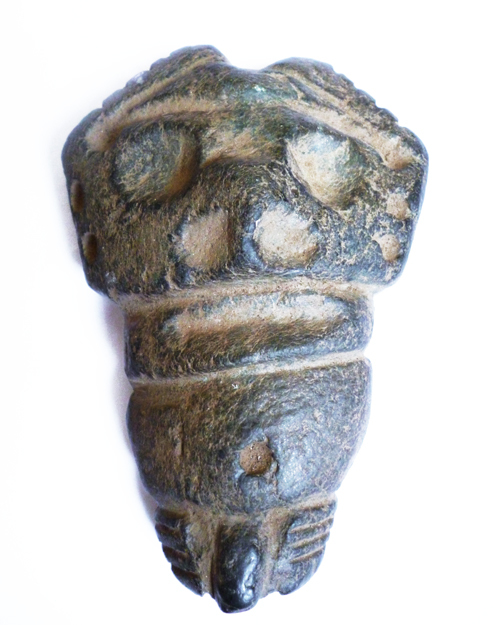 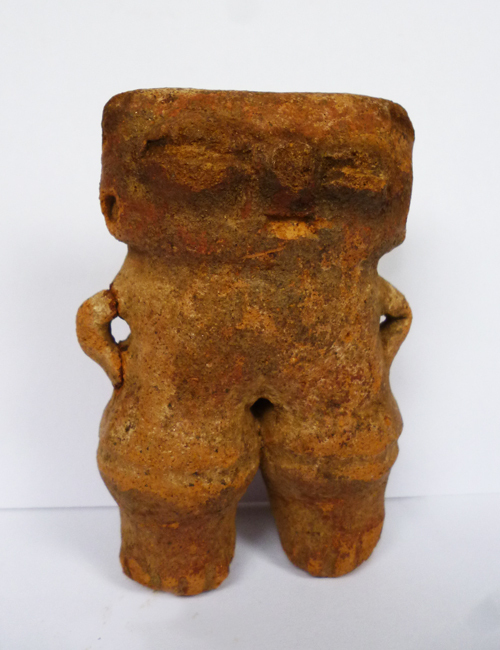 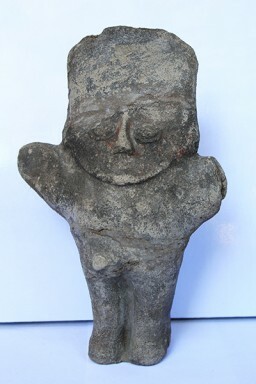 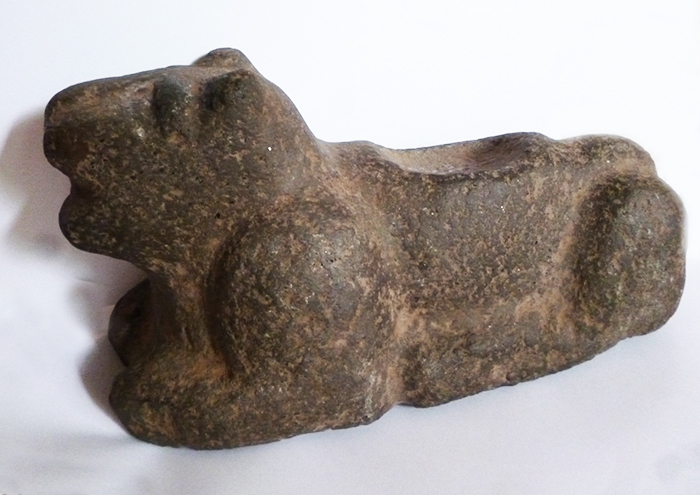 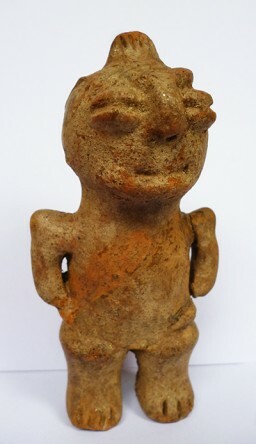 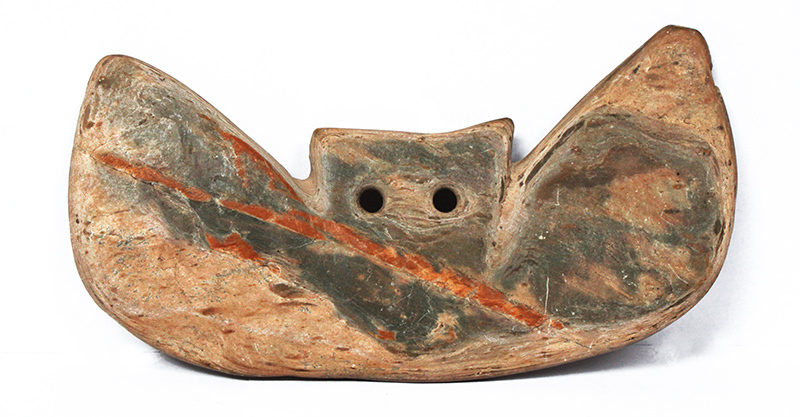 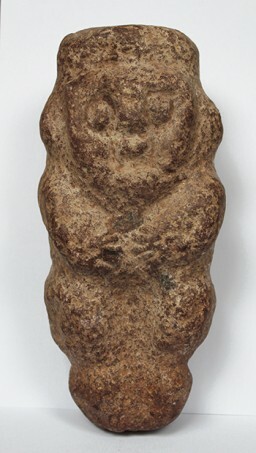 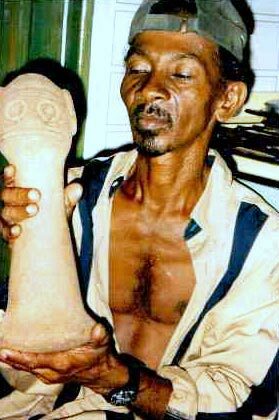 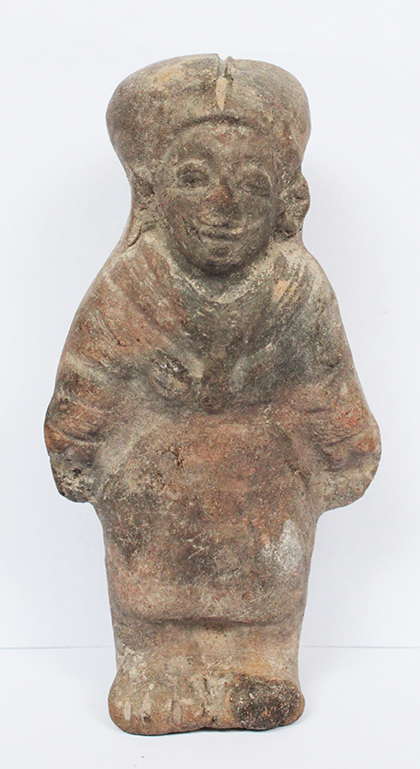 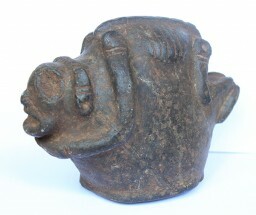 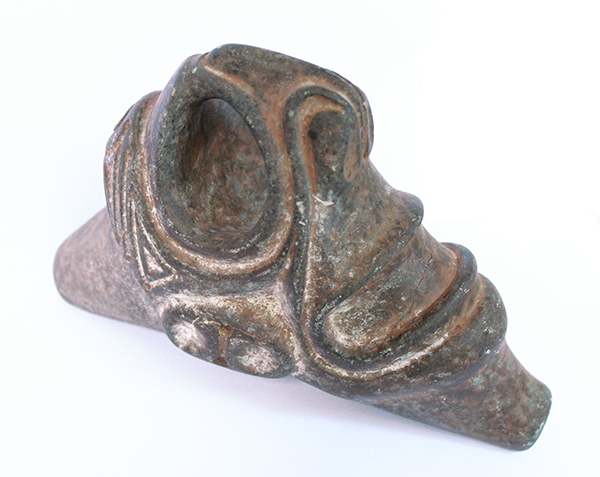 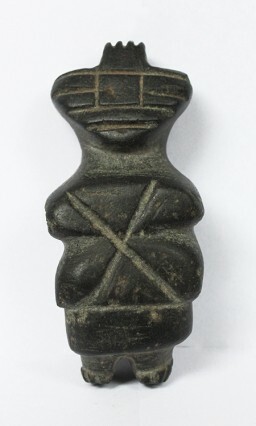 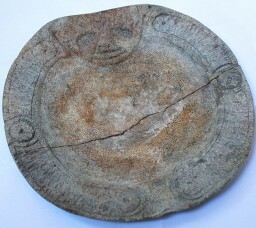 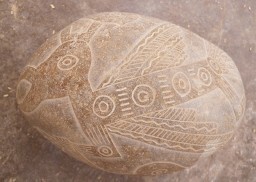 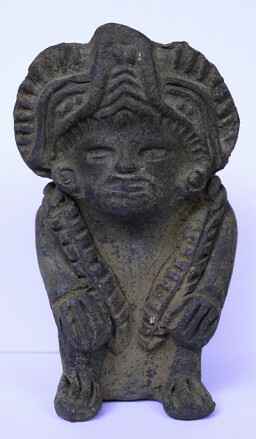 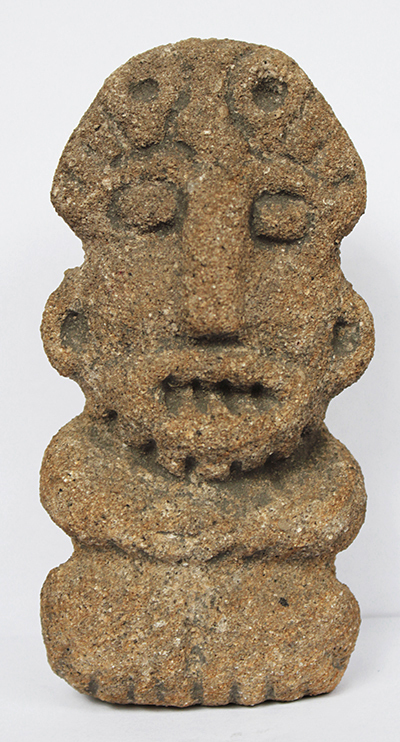 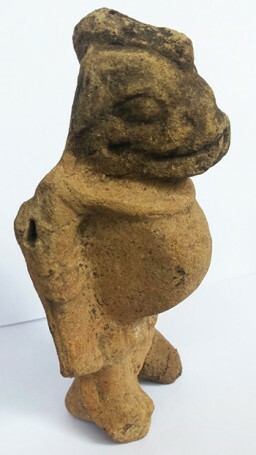 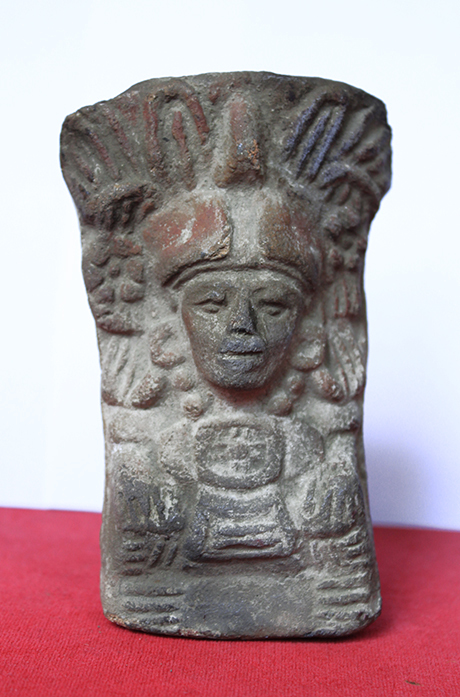 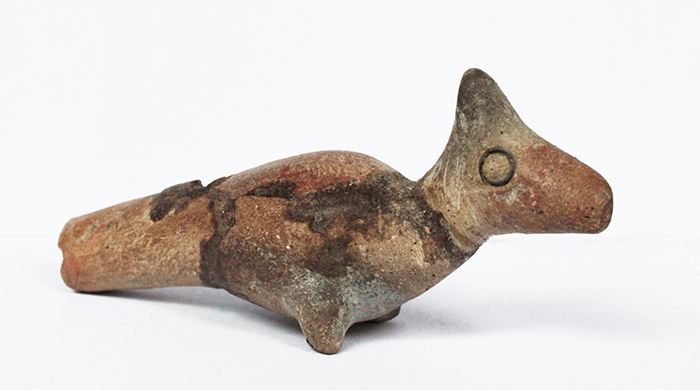 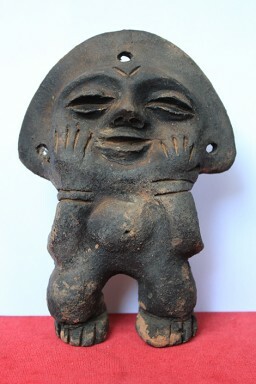 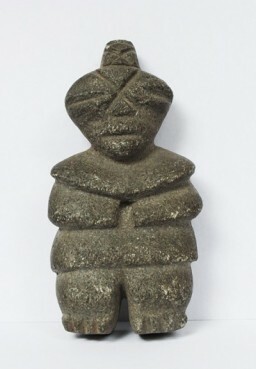 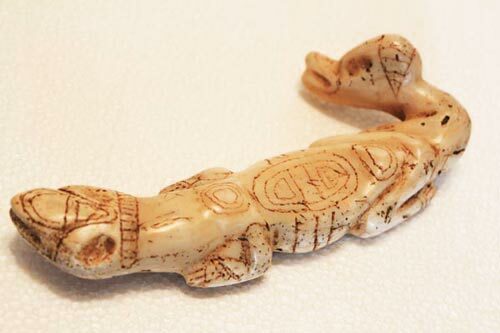 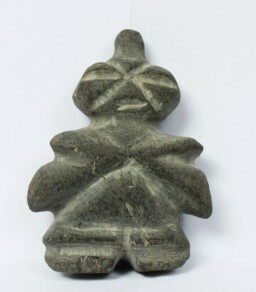 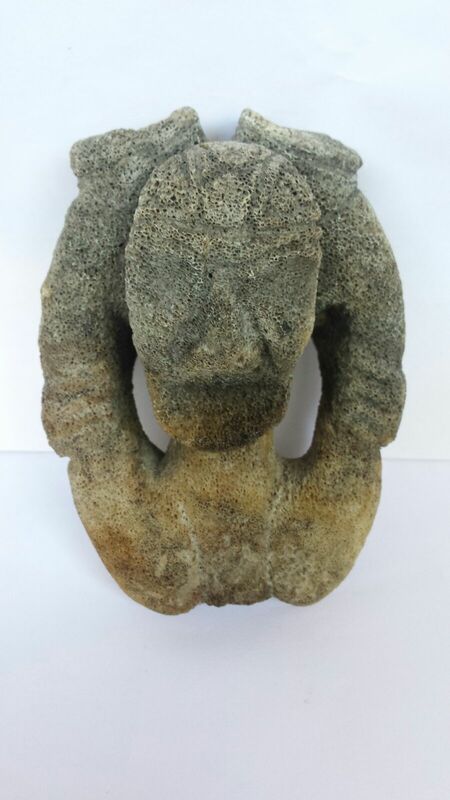 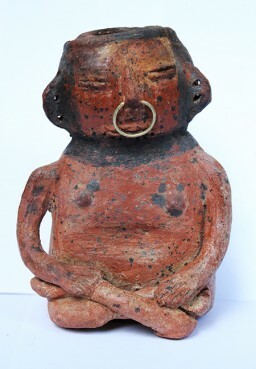 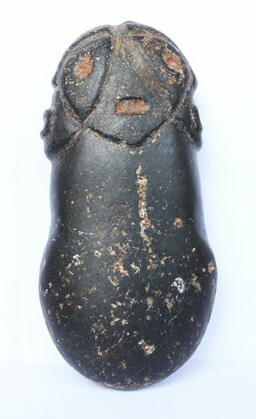 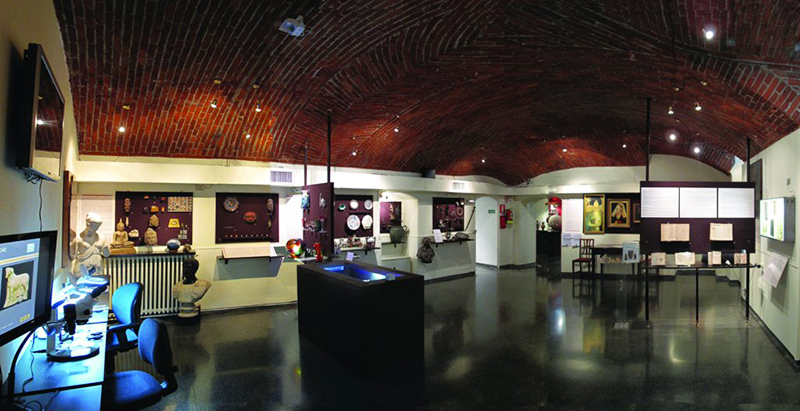 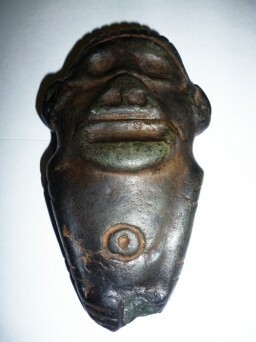 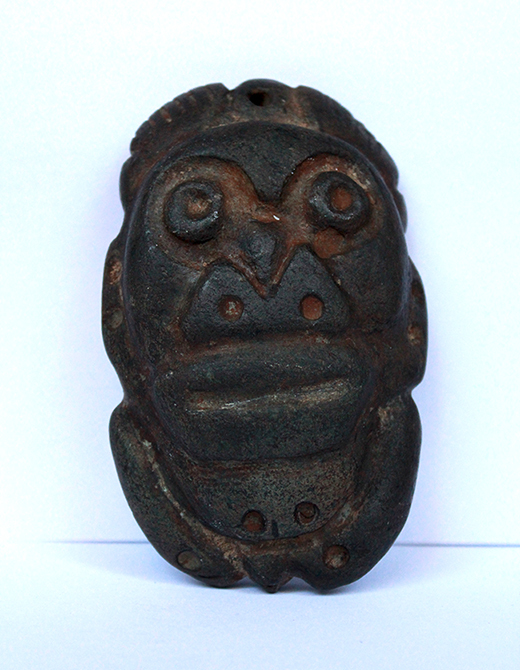 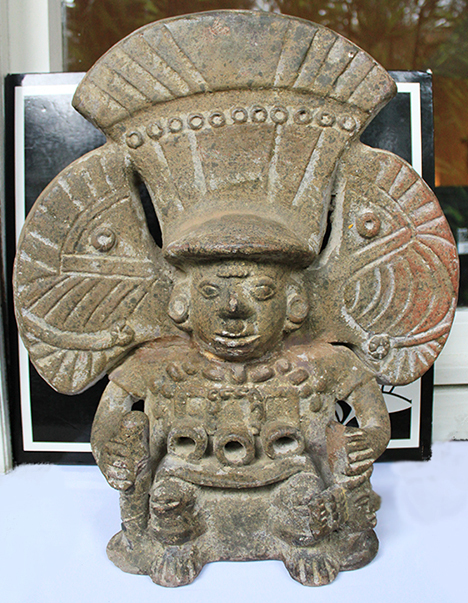 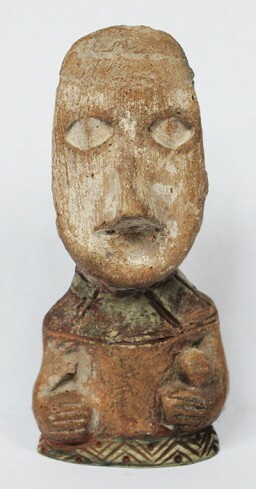 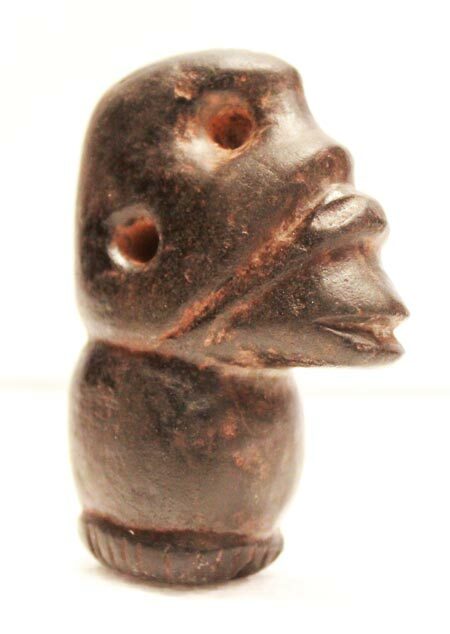 Many Taino objects of worship like amulets were carved in stone, bone of whale or manatee, marine shell, ceramics and wood. 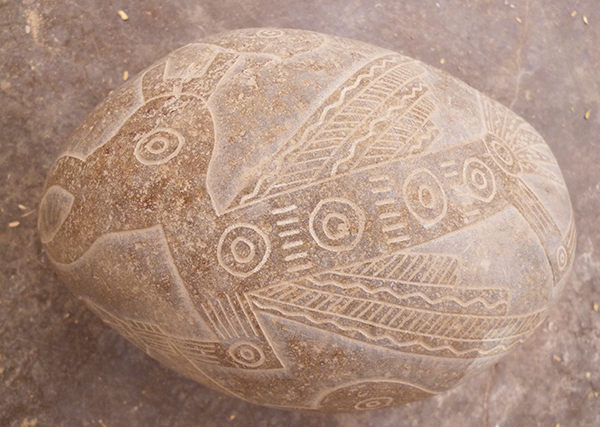 All done with skill in absolute absence of metallic tools. 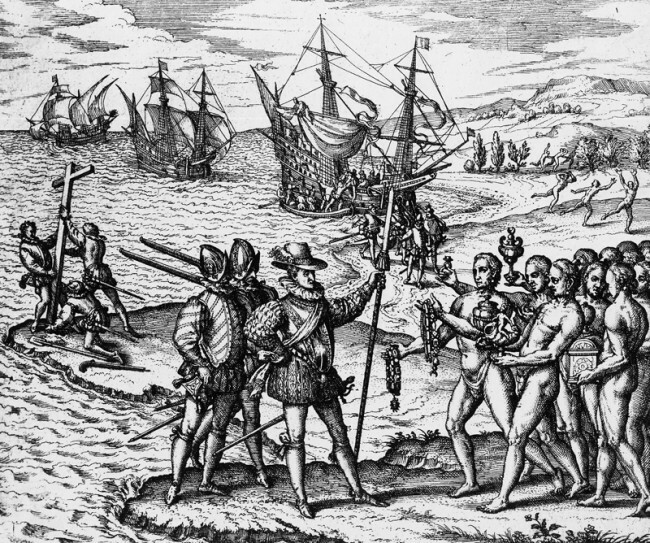 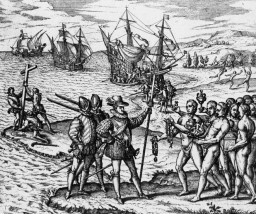 The Tainos were the first Americans to get in contac with the spanish colony led by Christopher Columbus. 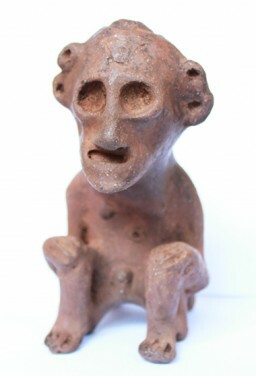 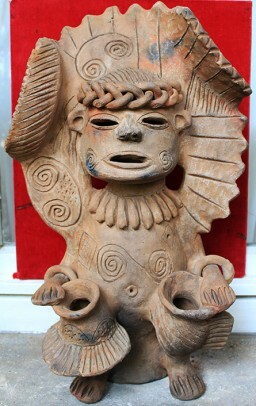 The Taino population was declined rapidly between 1492 and the beginning of the sixteenth century. 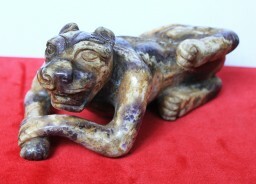 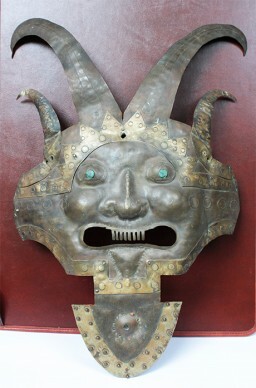 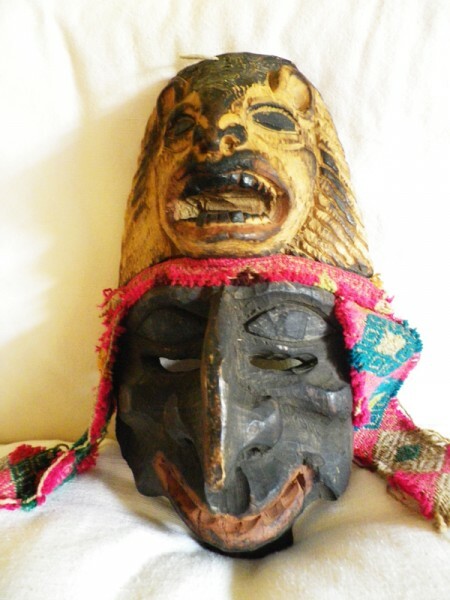 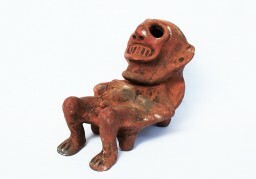 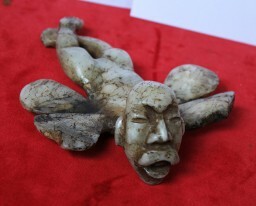 During the ritual, the shaman use a hallucinogenic substance that carry him from the underworld to the heavenly world. 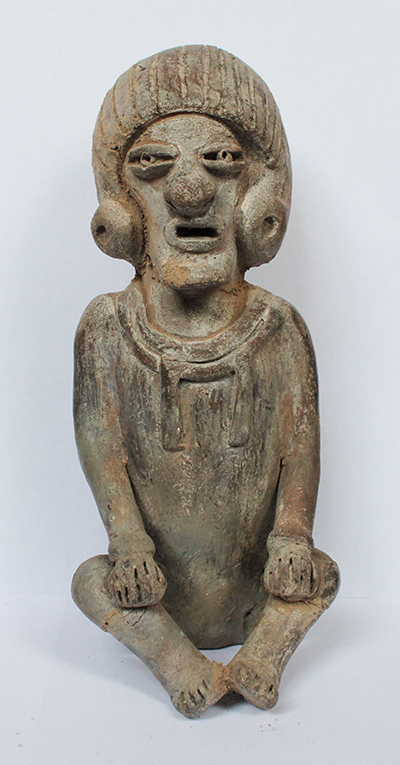 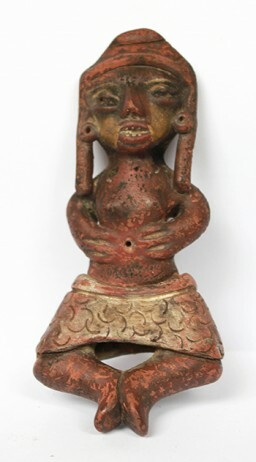 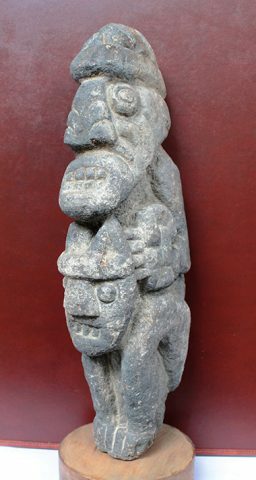 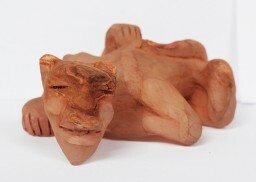 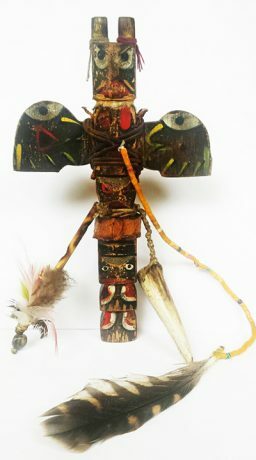 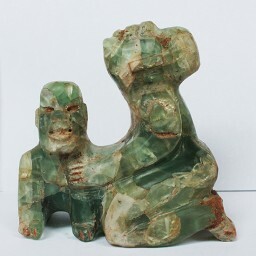 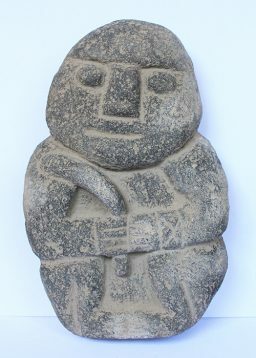 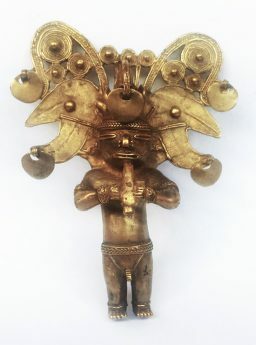 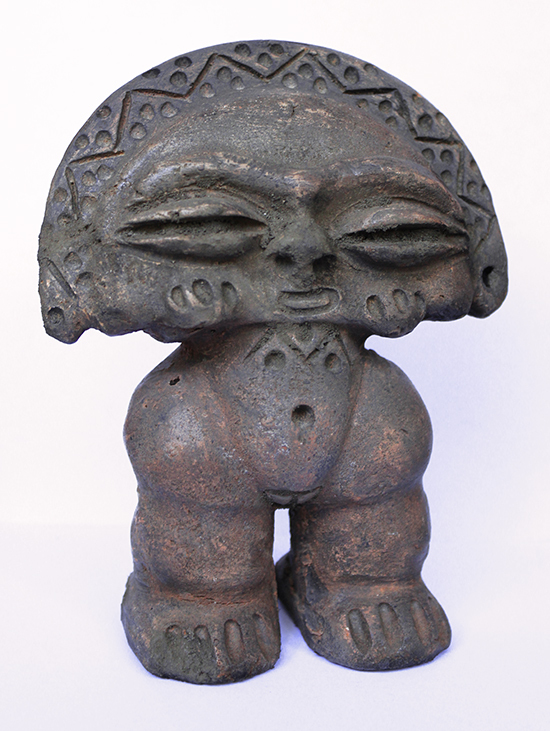 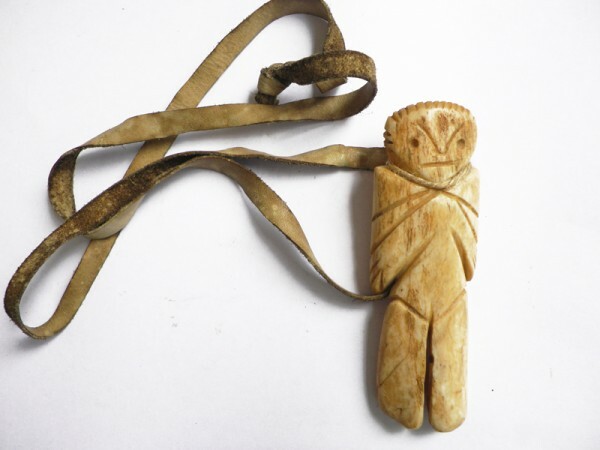 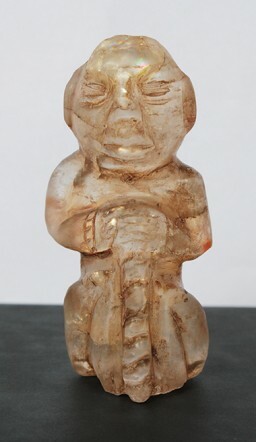 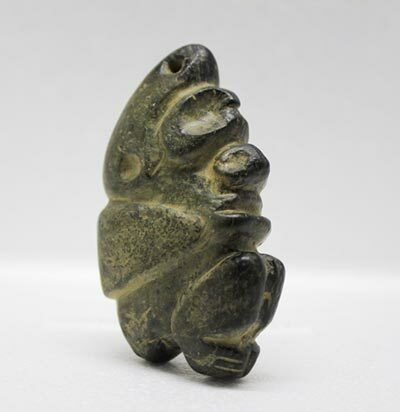 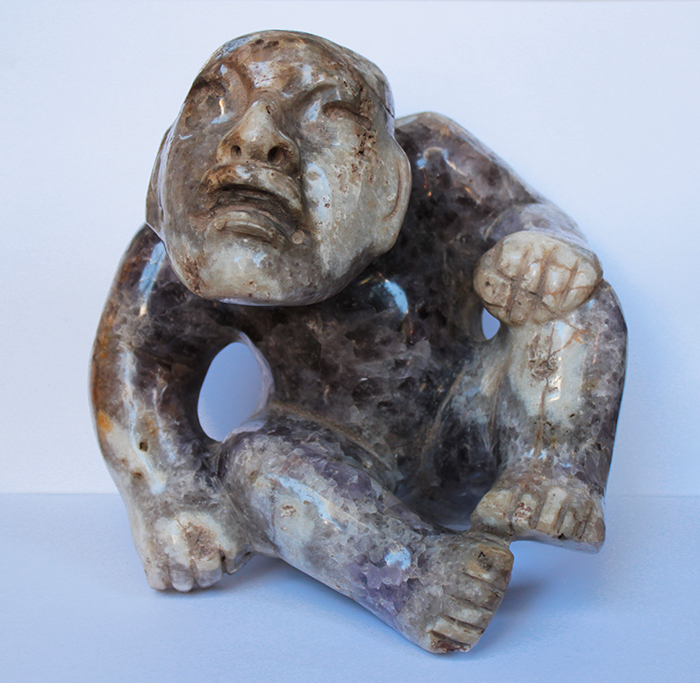 The amulets are spirits who help the shaman in his functions to control beings and supernatural forces and confer protection to his tribal group. 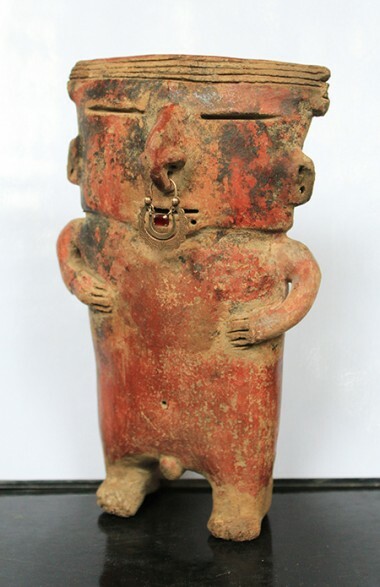 carved in the form of miniature figures, have a strong presence, which communicates an almost monumental sculptural quality of sacredness. The cultural affinity among Siberian natives and Alaskan tribes go well beyond the area of the Bering Strait. 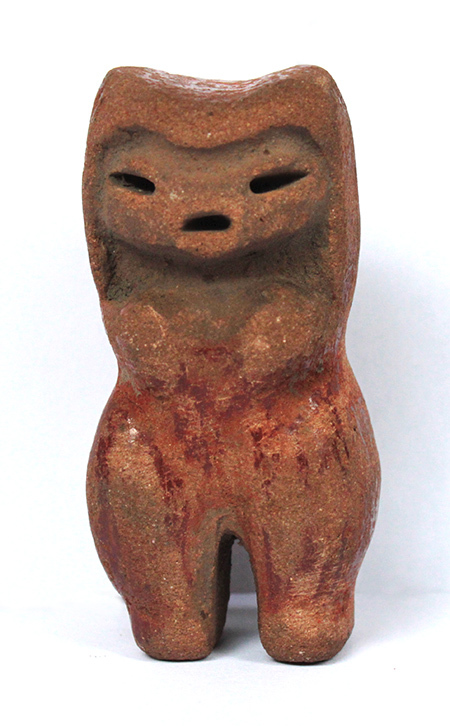 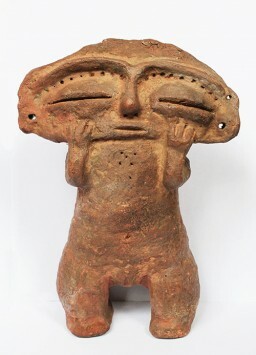 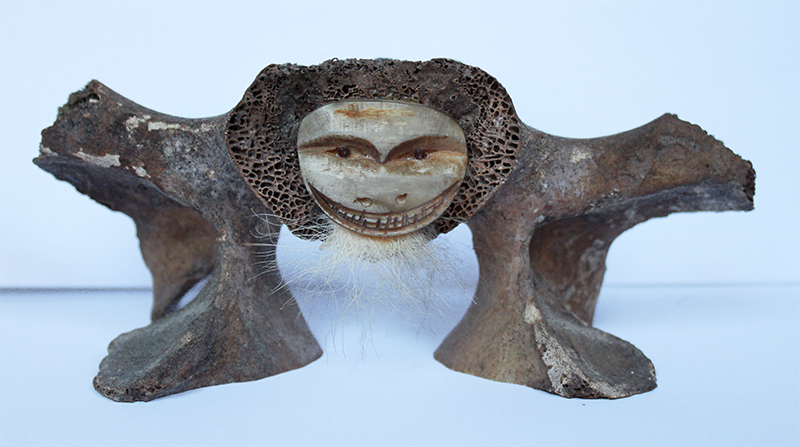 Anthropologists have found striking similarities between the myths , rituals, and the residence of the Koryak – inhabitants of the Kamchatka Peninsula – and those of the Tlingit , Inuit, Tsimshian, and other originary peoples of the north-west coast of the United States. 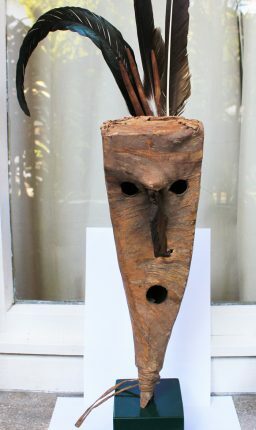 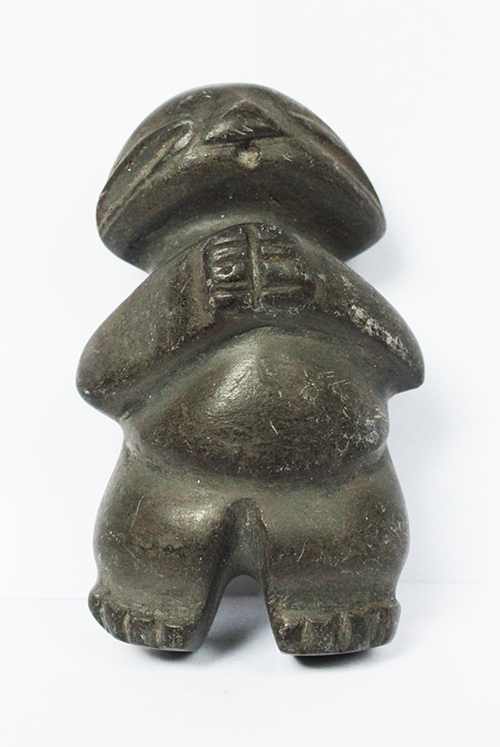 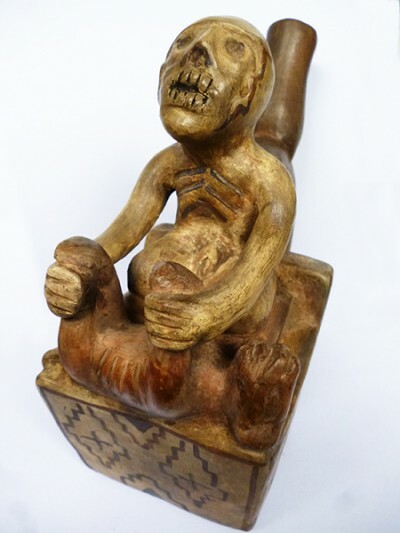 The mythological figure of the central Koryak is Big- Raven ( Quikil or Quikinnaqu ), which appears as the first man, the father and protector Koryak, and powerful shaman, a supernatural being. These similarities have led researchers to look for ancient cultural ties or even a common origin of these peoples separated in the North Pacific.